In an ideal world we would all get 8 hours of shut eye each night but unfortunately for many, an uncomfortable mattress past its best doesn’t add up to a restful night. We prioritise many areas of our lives but tend to not consider the importance of our own sleep and the impact that it can have on our day-to-day life, well-being and productivity. So if you feel your mattress is part of the problem, then it’s time to make a change and get some comfort back in your life. 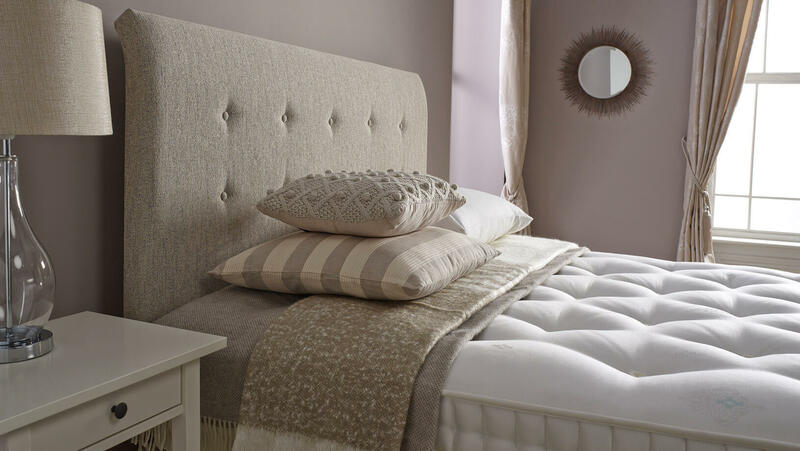 All of our mattresses are crafted from luxuriously soft and supportive materials, to offer you the very best night’s sleep, whatever your personal preferences may be. Choosing the correct mattress is fundamental to creating the perfect environment for sleep, and helping to improve your daily life and health. Your mattress choice should be determined by your own preferences, budget, the level of support you require, and your sleeping position, amongst other things. As a rule you should think about changing your mattress at least every eight years, however this does not always apply. The ideal mattress allows you to sleep in such a way that you feel no pressure, and awake free of pain. When choosing your ideal mattress size, you should ensure that your entire body fits comfortably on the mattress, and it is recommended that the mattress be 30cm longer than the body of the tallest sleeper. If two people will be sleeping in the bed, lay down on the mattress, with your arms behind your head. Both partners should be able to assume the position without bumping into each other. If you are a couple and want to prevent ‘roll together’ you might consider a bed with separate mattresses on each side to suit each occupant. These mattresses can zip together to give a full mattress feel. We also have brands such as Harrison Spinks and Vi-Spring that make mattresses with differing spring support on either side of the bed. Choose from a soft and medium or Medium and Firm so that both parties get their preference. Before you commit to mattress shopping you should measure the inside dimensions of your current bed frame or divan base. While there are some standard mattress sizes, it’s important to have the relevant sizing to hand when you order, as squashing a mattress into a too small frame will ultimately damage the mattress and not make for a comfortable experience. If you are considering a 6ft wide Super King mattress, please check that you have 6ft 8in of clearance between the third step of your stairs and the ceiling, as it is important not to bend the mattress when fitting. Mattresses with springs are categorised according to the thickness of the metal coils, with 12 being the thickest and firmest, and 18 being the thinnest. Inter-connected coils are the most durable, but individually pocketed coils reduce the ripple effect if you sleep next to a partner. These mattresses usually have a fibre or foam outer layer, which is covered in quilted ticking. It is often best to choose a firm mattress of this kind. These mattresses are more firm, and do not have much spring. The layer of foam can range from 2 to 6 inches thick, and 5 pounds per cubic inch of density is considered to be the best quality. 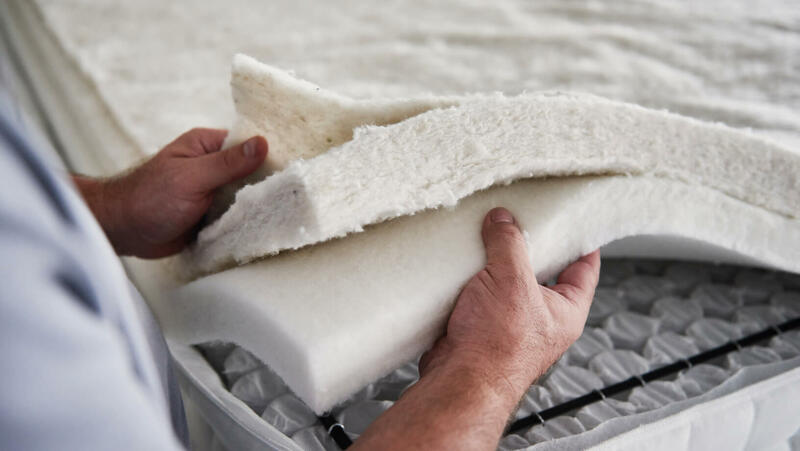 A combination of latex, foam, coils, and / or other materials, these mattresses are designed to capitalize on the benefits of each different material. These mattresses tend to be able to provide excellent bounce, comfort, and support at the same time. You will need pressure relief, which means that an memory foam mattress or a pocket sprung mattress with a top layer of memory foam may be preferable for you. A firm top surface provides the best support for this sleeping position, with a dense innerspring, air-filled, or latex mattress being ideal. A comfortable mattress which is supportive but also allows your spine to stay correctly aligned. A wide variety of mattress types may be suitable, depending on your preferences. 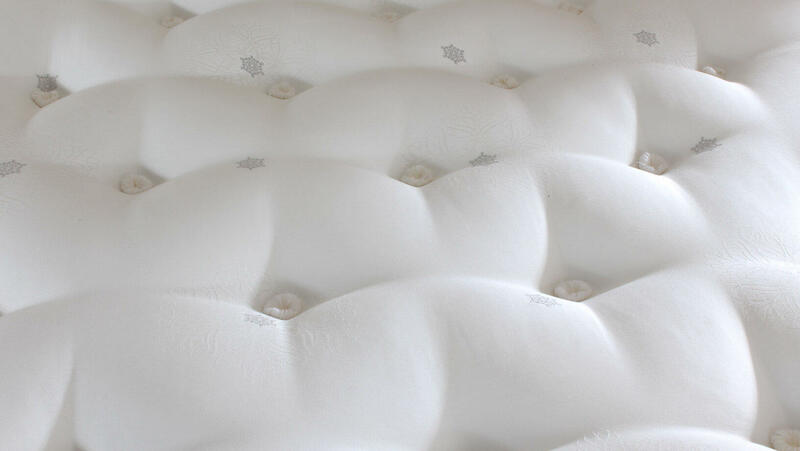 Sleepers with a lower body weight will feel the top layers of the mattress more than lower layers, due to the fact that they exert less pressure on the mattress. Light people tend to prefer a softer mattress, whereas heavier sleepers require some extra support in order to remain comfortable, so a firmer mattress is recommended. This type of base offers a durable, firm feel, and is made as a match to the mattress. The spring base acts as a shock absorber, and provides essential support to the mattress, resulting in a luxurious sleeping experience. Indulge in a luxurious sleeping experience. Browse our selection of mattresses and sets from the most advanced brands in the world - including Sealy, King Koil and Odearest - and you can rest assured that you're getting the best of the best.